Of all the unlikely and unexpected things to spiral out of this spring’s conclusion of the Dark Nights: Metal cosmic event, a major resurgence of Plastic Man, one of DC Comics’ most famous slapstick ne’er-do-wells, ranks pretty high on the list. From his pivotal role in the last stand of Earth’s heroes against the Dark Multiverse to his currently running stint on the interstellar team The Terrifics, Eel O’Brien has found himself a brand new Rebirth-era spotlight — and it’s only getting brighter. Legendary writer Gail Simone is primed and ready for her latest venture in the DC Universe with Plastic Man #1 alongside artist Adriana Melo and colorist Kelly Fitzpatrick, the first in a six-issue limited series kicking off this week and the first solo Plastic Man book in 12 years. CBR caught up with Simone to get the details on the famously flexible anti-hero, and some teases of what might be coming in the future. 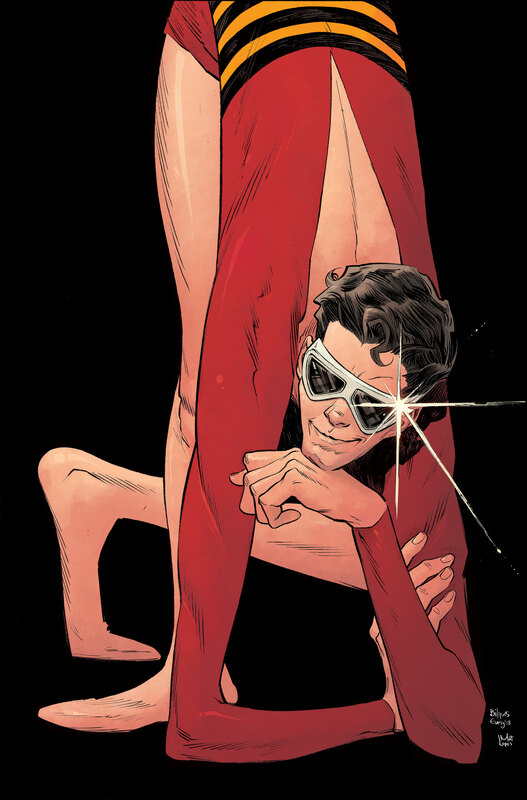 Plus, keep reading for a preview of this week’s Plastic Man #1! 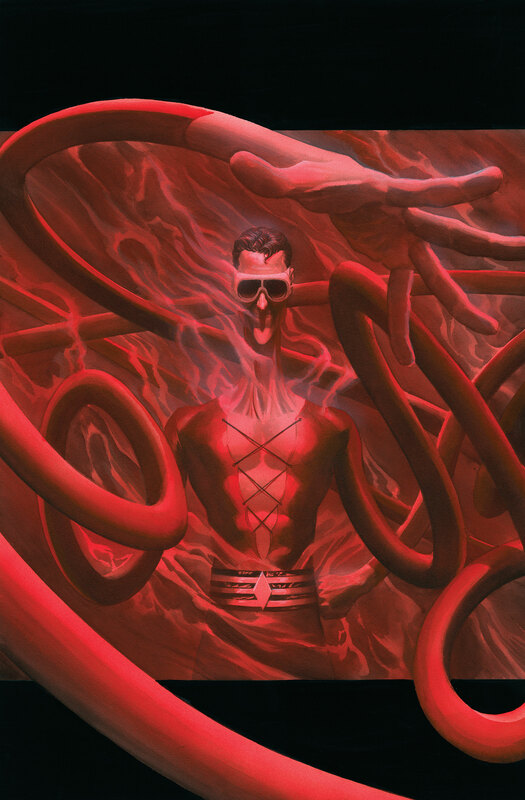 CBR: When I think of Plastic Man, my immediate thought is always something about physical comedy. Eel is a funny guy all around but his physicality (or lack thereof) is always such a major part of his comedy — can you talk about your process with Adriana Melo in scripting and nailing those physical beats and sight gags? What is it like to write a character who can literally take on any shape at any moment? Gail Simone: You and I are in the same kayak in this regard, I always feel like, if you have Plas and he’s not doing something weird or funny or creepy, it’s like an issue of Fantastic Four where Johnny never fires up. One of the funnest elements of the original stories wasn’t Plas as the Goodyear Blimp, but just quietly being a vase or a rug, that stuff always cracked me up, people walking on a rug with goggles and no one notices. I loved it. I’m pretty used to writing physical comedy, and I try to be super-specific about the choreography and science of it. But Adriana is always encouraged to bring her own genius to the dance floor. It’s a surprisingly tricky thing to write, but I love it, and we have such a great rapport that there’s no worries on my end at all. Speaking of Eel’s humor, where do you think the line gets drawn for him between sincerity and irreverence? How do you sell earnestness and personal development for a character so famously slapstick? My least favorite kind of humor for characters like this is “zany.” I love Ambush Bug, I feel he has zany covered. But when you take crime-background characters like Deadpool and Plastic Man and you cross that line into Daffy Duck territory, I feel like it’s a detriment to the characters. Both of these characters are born in pain and want, and humor is how they deal with it. So some people cry all day over a broken fingernail and some laugh at a funeral for a beloved family member. It’s how you deal with life that’s meaningful. There’s no right way or wrong way. Plas is the guy who doesn’t understand his current life, but he’s going to enjoy it, dammit. One thing I’m personally really focused on in comics is female writers taking on male characters which, bizarrely, has become a really rare phenomena in the last 10 years or so. By my count, you’re the first woman to write Eel in any kind of spotlight — what are you hoping your voice can add to the character’s legacy? What do you hope readers, some who might be meeting Eel for the first time, take away from the series? I do spend less time worrying about this than people might think, and I believe that’s because I have been so fortunate in the work I am offered. I mean, yes, I get offered every female character from Lara Croft to She-Hulk, but I am also routinely on the want-list for characters like Conan and Tarzan and Deadpool and other manly manly guy characters. And I love those characters. If I’ve focused on female characters more, it’s because there just seemed to be a greater need, and more unexplored territory. With Plas, I feel that I was chosen specifically because people think it’s a good fit, and that books like Deadpool and Secret Six made a decent audition to tell stories for Eel. I like writing characters of all genders, and it’s fun to write a guy’s guy like Plas and see his view of the world! The post INTERVIEW: Gail Simone on the Wonderful Weirdness of Plastic Man appeared first on CBR.